Its been far too long I know but running a business such as this takes its toll and my time has been rather stretched of late. 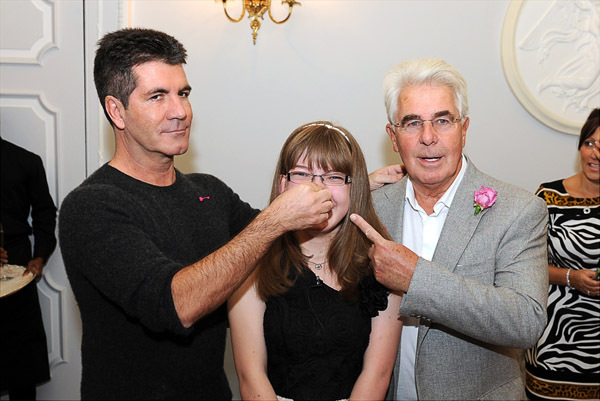 Lots has been going on - The year is getting off to a good start - last week I was the official photographer at an event hosted by Simon Cowell and Max Clifford for Shooting Star CHASE at the Dorchester. The place was packed with well known faces and my work has been seen in the local papers and even OK Magazine. I am currently writing programmes for photography and Photoshop courses that I will running in the summer and am also breaking tentitively into PR here in Surrey. Recent Photoshoots include, Buddy Holly and the Cricketers which are touring nationally just now, Chris Difford from Squeeze and Norman Lovett from Red Dwarf. Well known comedian Bobby Davro and Newsreader Nicholas Owen whose book cover - 'Days Like This' was shot here in the Leatherhead studio. (come and meet him at his Barton's Bookshop signing on March 10th) Commercially, I have been working with Therfield School in Leatherhead, photographing the school for their new prospectus, Four Gables Fine Dining in Ashtead, singing sensation Georgie Fisher and local charity - MERU where I have been producing images for the new website which will be launched soon! Never a dull moment in this business, but what a business it is! 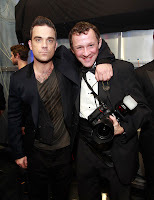 There have been some pretty interesting high points of my career as a photographer, but I reached the peak recently when I undertook my first Royal Variety Performance as the Official Photographer for EABF the charity that arrange the spectacular event. The first two days involved watching the artists rehearse and getting familiar with the logistics of the event. Behind closed doors, away from the paparazzi and fans the stars themselves were very relaxed and mingled with the BBC staff and EABF team quite happily. At one point I was chatting with Susan Boyle about her trek down from Scotland in the snow and on another occasion was talking to Robbie Williams about Stoke on Trent, somewhere I lived too when I was younger. Over the course of those days I got to see how the show was put together, marvelled at the lighting rigs and choreography, and worked out my own positions for the big night. I left Leatherhead at 6am on the morning of the show, parked my car at Marble Arch and after stopping en route for a McDonalds breakfast on Oxford street arrived at the Palladium in time for the royal arrival rehearsal and the start of the dress rehearsals. The buzz around the Palladium was awesome, famous faces everywhere, lots of excited children who were performing either with the Wizard of Oz, Spelbound or Susan Boyle's Choir, and nerves aplenty, my own included! Finally at around 7.15pm the Royal Car arrived and HRH The Prince of Wales, and HRH The Duchess of Cornwall appeared, slightly shaken after their ordeal en route with student protesters but ready to get on with greeting the dignitries and some of the performers in the foyer. Kylie, Take That and N-Dubz were also there to greet them and so the show began. A great performance it was too - comedians, singers, and acrobats in the form of Britain's Got Talent winners, Spelbound, all wowed the audience and everything went smoothly and on time. Take That rounded everything off with two of their new tracks and the first live performance as the newly reformed five peice, Robbie going down a treat with the audience and being the usual showman and natural performer. Sadly the Royal Couple were hurriedly ushered out of the Palladium to avoid any further incidents outside and so there was no meeting the perfomers but I got the opportunity to meet some of them myself and grab a few relaxed shots. The night was not over there as next was the after show party to be held on Park Lane - it was chaos outside and no chance of a taxi so I hired a rickshaw and clutching my precious payload and about eight grands worth of camera gear I was cycled through the riot torn west end by a polish youth who for an extra fiver, put his foot down! The party went well and wound up around two thirty. I took around four thousand images over the course of the three days, I was exhausted but what a great experience. Hopefully they will have me back next year. A big extra 'Well done ' to Spelbound - some of whom are from Surrey, who put on a blinder of a show and were thoroughly nice kids to boot! Greetings all, once again Iam behind on my blogs - this is one of 4 now so I guess maybe I should streamline them eh! Its been a manic month - became the official photographer for EABF - the charity that organises the Royal Variety Performance, so look out for me on the box in December snapping the stars with the Royals! 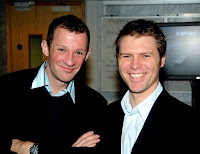 Am very excited about this new opportunity and am looking froward to working with Peter and the team at EABF. 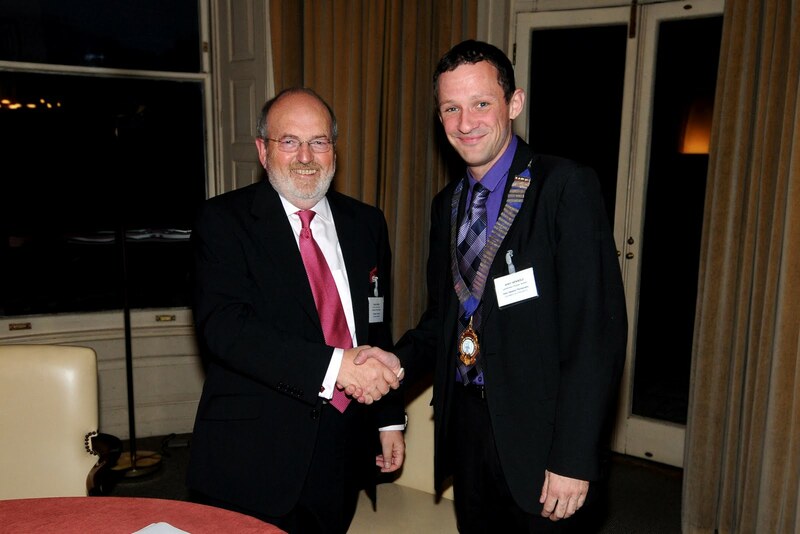 Also became the president of Leatherhead & District Chamber of Commerce and had a nice evening being 'chained' up last week. Even managed to get a laugh or two during my inaugural speech. Hope I can do as well as John Hickey - a hard act to follow. Covered the BGC Charity day for the Childrens Trust recently too - at one point I was chatting to Ronnie Corbett in the lift, then snapping Amanda Holden and Jonathan Ross and the next was filling my frame with none other that Roger Daltry from The Who! I also did the Childrens Trust Sleepwalk with some friends - ten miles in the middle of the night - great fun but sore the next day! Last week I went along to the booksigning of 'The Elephant to Hollywood' to do some media images with Sir Michael Caine - half way through the book at the moment - some great anecdotes! Surrey Life this month has been very popular - Keeley Hawes photos went down a treat and I was pleased with the Peter Alliss feature too. This weekend I have been teaching again at Denbies Vineyard - 5 great students who hopefully went away a bit more camera savvy then afterwards went to Botley Mansion to cover the Sam Beare Ball - a few names there too and embarrassingly I asked JB from the very popular band JLS what he did for a living - his girlfriend looked most disgruntled that I did not recognise him, I guess I am now of that generation that my Dad was when I was into the 80's stuff, - only thing was he was a record collector and generally knew of the trendy bands before I did, Oh how old I feel!!! Another exciting shoot this weekend, this time with Formula One front runner - Lewis Hamilton at Mercedes World in Byfleet - This pic was sent to me by fellow photographer Andy Barnes who was also snapping away. 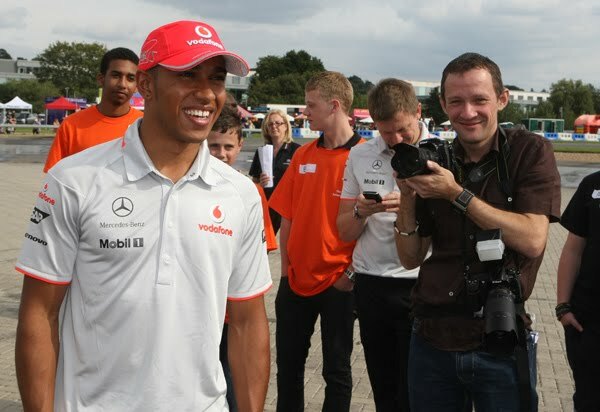 Lewis was there to add some glamour to the Smart Festival and meet some of the kids at the Mercedes driving academy - he was generous with his time and seemed to enjoy himself too! Lewis is at Monza next week so watch him battle for first place again next sunday. Also this week I covered a Charity event for the Sam Beare Hospice which was hosted by Bobby Davro and featured amongst others, Tony Hadley from Spandau Ballet and comedian Tim Vine. Great evening with heaps of cash raised for the hospice. See the pics in next months Surrey Life Magazine! Wheres the bloody summer gone? Summertime is over - back to cold, drab, wet and miserable! we may still get an indian summer yet eh? Been a busy few weeks on the personal front - moving house again! I have lost count of how many times now. Also planning for the next few months and keeping up with stuff. I am taking over as president of the local Chamber of Commerce next month so am getting ready for that! Have just updated my online Ashtead & Leatherhead Local blog as I realised I had not updated it in several months so you can click back a page and have a look at that for recent news if you like! Some BIG exciting news coming in the near future so watch this space! over an out for now!! Blimey, its been a while! My life is so busy nowadays I just don't get time to write anymore. As you can imagine A lot has happened since Max and Jo's wedding - many events, quite a few names to drop and a few hard times too. 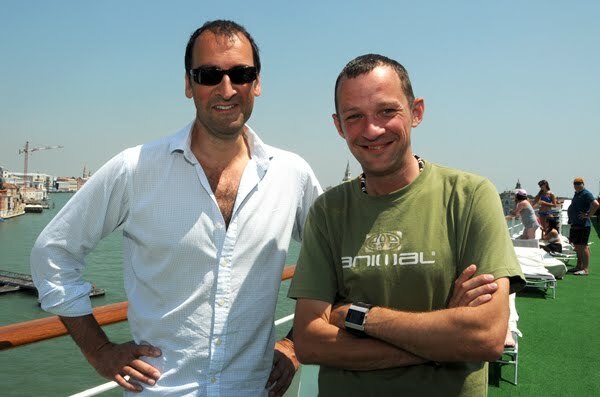 I have just returned however from one of the best jobs of my career - an eight day cruise round the med with 300 or so of great people, all on a treat holiday from their boss - the very generous Tony Bloom. Rarely have I seen such mutual respect in a company and rarely do I see people at his level give so much to the people around him. It was a pleasure to shoot and has to be a record to me with a final toll of 3126 images edited (over 8000 taken in all) During the trip on a top notch cruise liner we visited Nice, Corsica, Sarrento in Italy, Sicily, Corfu, Dubrovnik in Croatia and the wonderful Venice. Comedian Alistair McGowas joined the cruise for a night and along with Milton Jones from Mock the Week, did a great job of entertaining the guests. The trip was all round luxury and fun and a great time was had by all, including me, who felt like one of the guests rather than a contractor. Big thanks to everyone and Jo and Terry from Sherring Events who hired me in - count me in next time if you will have me!! back to business in the Uk and lots lined up - no rest for the wicked! What can I say! A brilliant week so far. On saturday I exclusively covered Max Clifford and Jo Westwood's wedding and a great day it was too. I have known Max and Jo for a few years now and was really honoured to be asked to do it for them. It was held at Great Fosters in Egham and was a very low key affair with just 120 guests. There were a few names of course but by and large it was family and friends. managed to get a spread on sunday in the daily express and a pic in the News of the World and there are lots of bits and bobs about this week, was a great high point in my career. Tomorrow I have another high profile shoot in London but its not all glamour you know, at present I am editing away in a lonely studio! I now have a PA by the name of Angharad Wynter - she has joined me after working on cruise ships and having studied photography at college. She is already getting up to speed with editing the portrait shoots and is fitting in quite well. Shoots in the pipeline include some more names so watch out on my facebook page and I will try and update this again soon. After the recent guest spot on BBC Surrey with Nick Wallis (Left),I went along to cover an outside broadcast in Leatherhead today at the Surrey County Council Traffic Management Centre. Fascinating place and a great bunch of people. This is where all of the traffic light systems are controlled, road cameras and bus systems - one of the town's best kept secrets! They also deal with the current pothole situation after the roads were damaged by the extreme weather and there were representitives from Surrey CC on hand to answer questions - Got a bit of a grilling but handled it very well and professionally. It was good to see them making notes to ensure that action was taken too. Ursula Hudson from the Leatherhead advertiser was there too and she reminded me to ask for good news stories about the town so if anyone has anything newsworthy for our local rag then let me know and I will pass it on - there is no point us moaning that the paper is full of bad news if we are not going to help get the good news to them. Revellers at the weekend would have had the misfortune to hear me sing as I was up on the mike on saturday night in my local. it was videoed too so I will probably end up looking like a prat on utube too! Well done Denbies Vineyard on winning their recent contract with a national chain of public houses and welcome to the new thai restaurant that is opening where Estrellas used to be, I cant remember its name but am looking forward to a taster soon! Doing lots of work with the wonderful Surrey Life at the moment, so look out for my stuff in there - few famous faces too! Big happy birthday to my friend Jade Tolfree! As the snow melts and that brown slushy stuff that is uncomfortable to walk in lies dismally on the floor I reflect on the past year. Last year saw a decline in business for photographers and a few I know fell by the wayside. It is sad to see that due to the availability of good quality, reasonably priced cameras and the digital techniques that are easily available to amateurs, the need for portrait and even commercial and wedding photographer is rapidly decreasing. 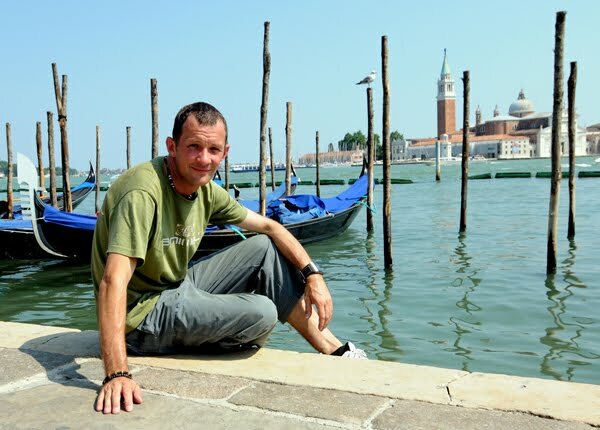 Last year was a tough one for me and I limped into 2010 with an uncertain future. I am sure I will find ways to keep going but I do wish it was easier sometimes. At present I am suffering from a lack of motivation too which does not help much. Recent developments in my personal life and the aftermath of a disasterous christmas have left me jaded to say the least - There are no answers, time is all is required and in the meantime I get inspiration from people like my old photographer friend from Radio Jackie, Darren Graham who seems to be in about fifty places at once and comes up with some stunning photography on a daily basis - where do you get your energy man. 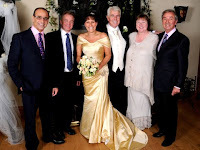 Also I have been watching Channelle Sergius -Bruce's work via Facebook, a great and very positive wedding photographer. So have I just ran out of steam or is it time for me to roll over and get a job at Chessington? no doubt I will drag myself out of this depression in due course but so far 2010 - not impressed!